Congressman Don Young's report with the Federal Elections Commission for the first quarter of 2008, is expected to show that he spent about $213,000 in legal fees to criminal defense lawyers. Republican Young, under multiple criminal investigations for bribery, extortion, and corruption, still claims he's going to run for Congress in the fall. In January, Young opened a criminal defense fund because his supporters "wanted to help us out," according to Young's spokesman, Mike Anderson. Young's re-election campaign raised more than $164,000 in contributions between January and March. Most of the contributions came for non-Alaskan donors. His report is due to the FEC by April 15th. 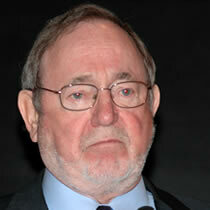 So far Don Young has racked up over $1.1 million in legal bills - and he hasn't even been arrested - yet. © By Dennis Zaki - AlaskaReport.com All Rights Reserved.